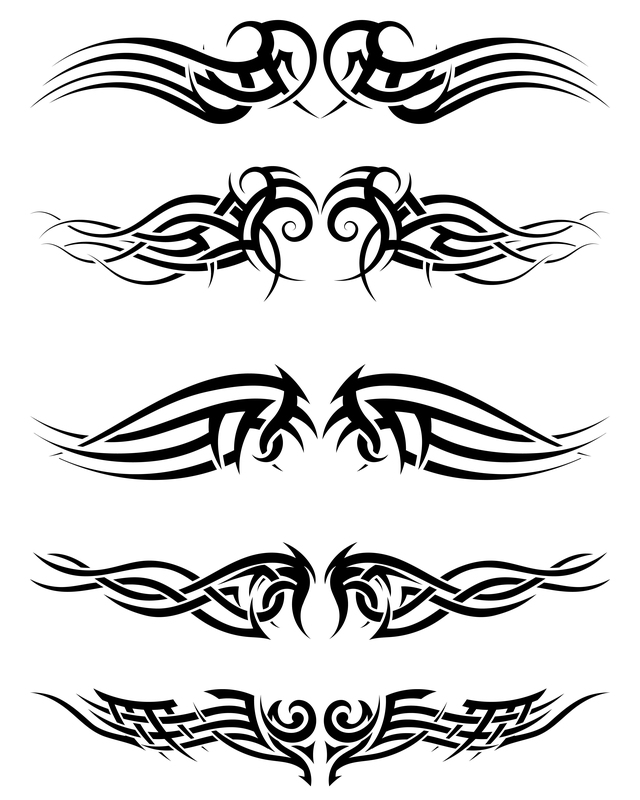 Tribal tattoos are very popular today. As the name suggests, their origin goes back to indigenous tribes in the Bronze Age, which was about 5000 years ago. 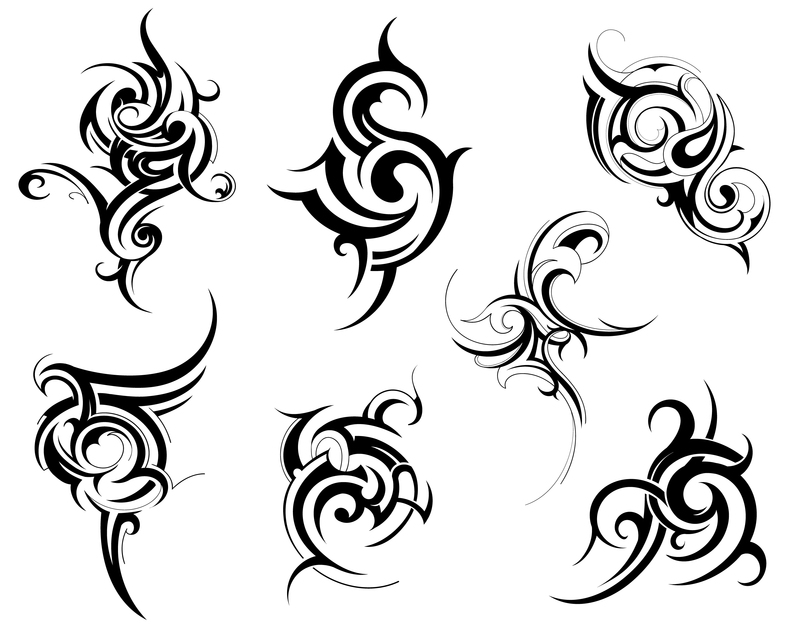 In fact the word “tattoo” derives from the word “tatau” in Polynesian. 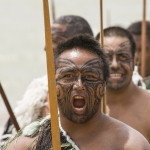 All of the people living on Marquesan island in Polynesia were tattooed. 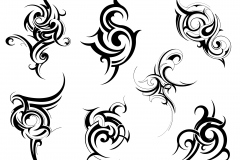 They regarded the tattooed symbols as a form of language. In this particular culture the images were usually inspired by animals. For example, shark teeth represented protection, and shells meant wealth. Other common symbols included turtles, fish hooks, and lizards. 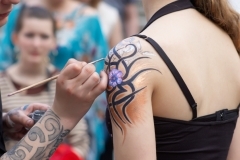 Due to the early origins of this style of tattooing, no one is really sure exactly how it was first developed. 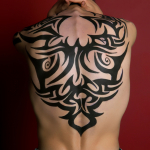 Some theorize that it was likely an accident that led to the first tribal tattoo. Because body and soul were generally thought to be identical to one another, your tattoos then existed on both the physical and spiritual planes. Many of the tribes from Borneo believed that tattoos would not only be enough to get them to the proper spirit world, but that their tattoos also offered them special qualifications for advantageous occupations upon their arrival. 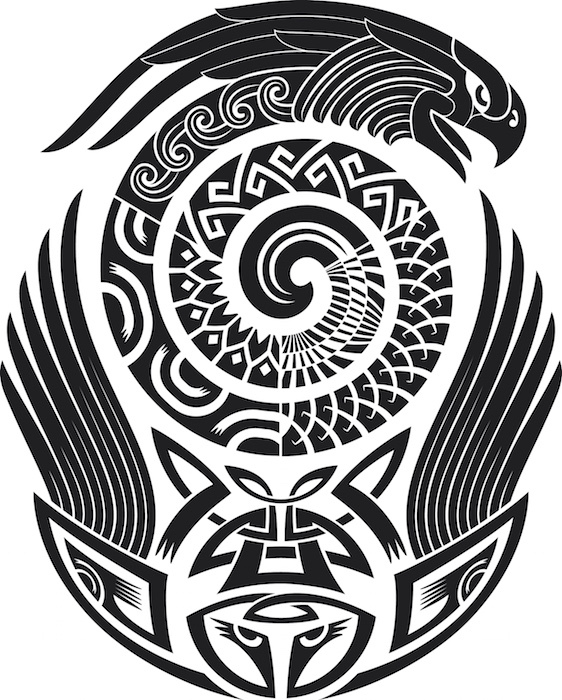 Today, tribal tattoos usually combine the original styles of the tribes with modern images and artistic expression. While these tattoos once were signs of social status and achievement, they are now more statements of individual artistic expression. 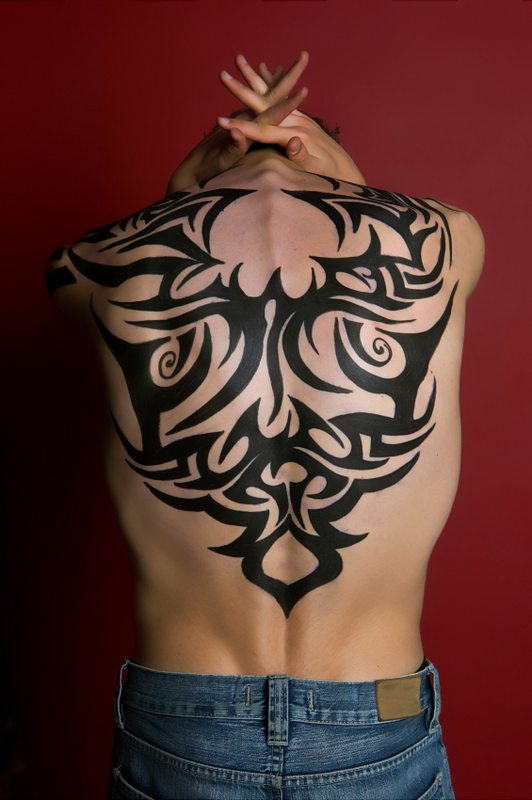 Modern tribal tattoos usually have thick lines, and are primarily dominated by or fully made in black. The designs can be as simple or complex. 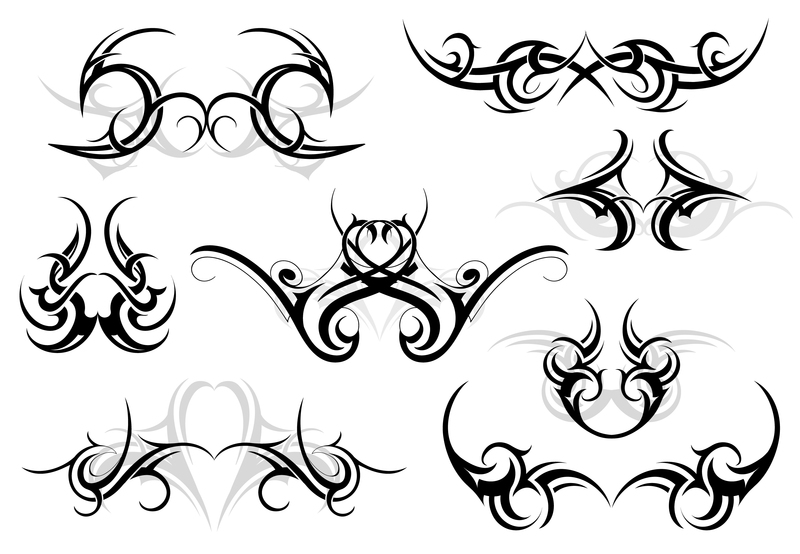 Nothing is considered wrong in making tribal tattoos. 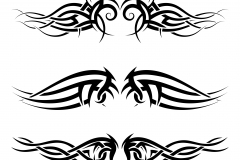 You will even find tribal tattoos with multiple colors or images of angels, fairies, butterflies, Chinese characters, stars, etc. The sky is the limit in terms of creativity. Tribal tattoos have become so popular that they span across all cultures and ethnicities. You are just as likely to see a bearded “biker” on a motorcycle with a tribal tattoo as you are to see a young female school teacher with a tribal arm band. It is precisely the freedom of artistic expression and the broad range of meanings that has made this style of tattooing so popular. The message this style of tattooing conveys is that of artistic expression and freedom! 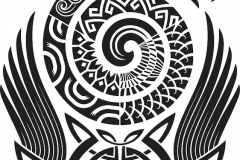 From membership to totem animals, the meaning of your tribal tattoo is exactly what you make it. For this author getting a tribal tattoo was a symbol of freedom. I was 18 years old and living away from home for the first time. I wanted a symbol of independence and freedom while at the same time not immortalizing an immature meaning that I would regret later in life. Even to this day more than 20 years later, I look in the mirror and see freedom!